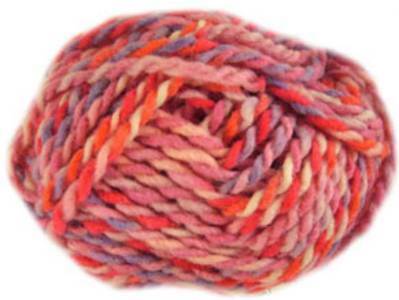 Sirdar Squiggle superchunky knitting yarn has a wool rich blend of 51% wool, 49% acrylic and is machine washable at 40' and non-iron. 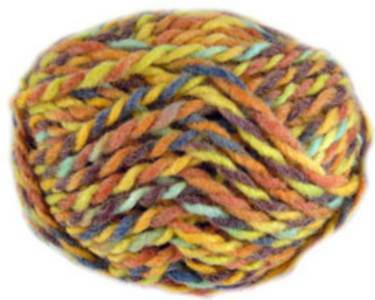 Lightweight and practical Sirdar Squiggle produces a unique multicolour effect as you knit and has a tension of 9st and 12 rows to 10cm on 10mm needles. 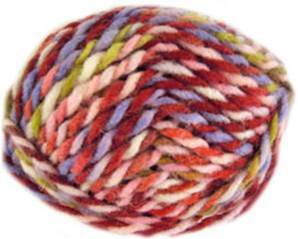 It can also be used in place of Sirdar Indie or other Sirdar superchunky yarns. 50g, 40mm 43 yards per ball. Easy waistcoat with ribbed collar fits girls and women 61-117cm (24-46in). 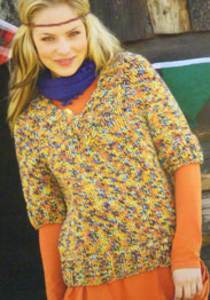 Easy and quick to make V neck sweater with half sleeves, shown in Sirdar Squiggle superchunky yarn. To fit 81-107cm (32-42in).